Pursuing an MBA after engineering has become a trend for more than a few decades not only in Bangladesh, but throughout the world. Globally, about one-third of the CEOs of the S&P 500 companies have engineering as their undergraduate degree. The CEO of Microsoft, Satya Nadella is an engineer. So are General Motors' Mary Barra and Amazon's Jeff Bezos. Darren Woods of Exxon Mobil and Tim Cook of Apple also have engineering background, and the list goes on. In fact, engineering is ranked as one of the most popular undergraduate degrees among Fortune 500 CEOs. Engineering background certainly translates well when coupled with an MBA. An MBA gives an engineer the broader business knowledge to make strategic business decisions and to understand the impact of those decisions. It provides a competitive edge of having both technical and analytical skills along with the softer skills of managing people to reach the upper echelons in a professional career. Engineers are problem solvers. They are methodical, examining complex issues from all perspectives. The qualitative and quantitative skill sets of an engineer differentiate them when they leave engineering school and start a career in the business world. When instilled with the necessary managerial and interpersonal skills, they become a perfect fit for aspiring business leaders. Thus, it is clear that the engineers have distinct progression in their career once they pursue MBA, but it is also important to know what benefits engineers can bring to the business. The world is changing at an unprecedented rate with significant increased focus on analytics across industries and functions. Humans stand in the brink of a revolution where technology will change the way businesses operate. In fact, businesses that do not embrace this disruption simply will not survive. While embracing this changing environment, a number of jobs will become redundant, new jobs will be born, and cutting-edge technology will change work methods. While many may fear losing their jobs in this upcoming disruption, it is the job of the engineers to drive this advancement in technology. With these new developments imminent, the engineers of today need to start adapting, committing to continually learning and upskilling. In the context of Bangladesh, the scenario is no different. 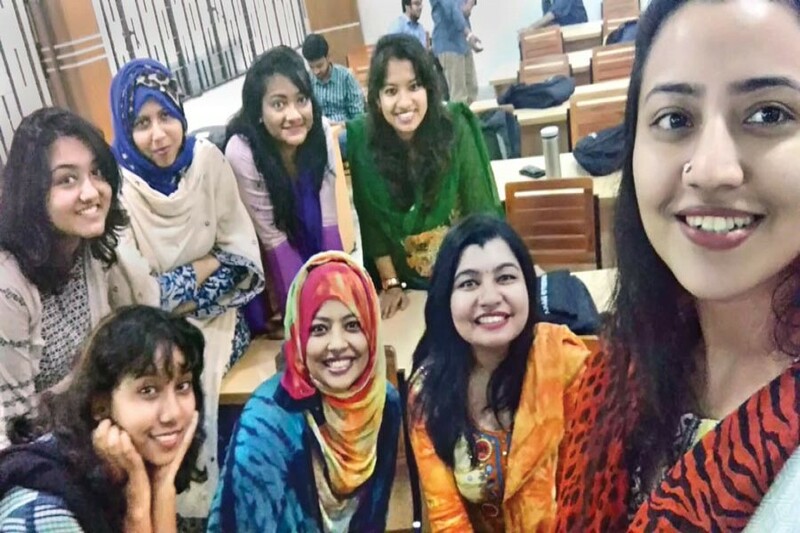 For instance, more than half of the MBA students of the Institute of Business Administration (IBA), University of Dhaka are from BUET and other engineering universities of the country. This trend is not new. While this trend follows the global trend, the underlying reasons are complex. Conversing with some of the current MBA students of IBA, this writer has learnt interesting insights and opinions. When these students started their undergraduation in engineering after class twelve (HSC/ A level/equivalent), they had little idea about what they wanted to do in lives. And over that, peer pressure, family and social pressure build in; and if they are not pursuing engineering or medical, they are considered less intelligent. Thus, the engineering schools in Bangladesh, specially BUET, have been able to attract the top tier students interested in pursuing engineering degree. But, by the time they complete their degree, they realise what they want in life. This potentially comes with maturity, age, and seeing their seniors and examples throughout the tenure of four years of the degree. At the same time, the dreams and aspirations of being an engineer phase out as they realise the reality and challenges they would be facing after graduation. The urge to innovate and create something great remains unfulfilled, as the nation cannot provide these bright minds with the necessary challenges to practice or apply their skills. Thus, after graduation, in order to fulfill their insatiable desire to acquire knowledge, a large group of engineers go abroad for higher studies, either masters or PhD in their relevant subject areas. Now, a bigger chunk of students who do not go abroad, opt for domestic options--which are very limited and unattractive. The engineering job in the government sector does not have enough challenge and attractiveness and in many cases, the job description requires a diploma engineer, rather than a BSc engineer. At the same time, for the technology driven job, which requires talented and high caliber engineers, the government or private sector brings in resources from abroad. This limits the scope of the local engineers and demotivates them to continue their career in the technical field in Bangladesh; hence look for opportunities in switching careers. Now, in the corporate sector, the entry level job for an engineer is primarily a shift manager and it takes a long track to get promoted to plant manager, unless combined with the softer skills of managing people and leading a team, which is potentially provided by a MBA degree. However, since pursuing an MBA parallel to the high demanding corporate jobs become difficult, most students join the MBA bandwagon right after graduation hoping to get a better and financially rewarding career. The other small group of the graduates who actually get into the entry level in the product-based companies tend to procrastinate their MBAs into a distant future. Our neighbouring country India has been able to create job opportunities for the engineers by appealing the non-resident Indian (NRI) engineers to come back to the country and contribute. Bangladesh can do similar thing. Instead of importing resources from other countries for the technologically driven jobs in both public and private sector, we can provide the opportunities to the non-resident Bangladeshi (NRB) engineers, who are working in large global companies, to return to their home country and contribute to the development of the country. In an era where the world is moving towards technology and artificial intelligence, engineers, though not of all sectors, are in high demand because of their technical knowledge and soundness. In order to keep pace with the change, we need to adopt ourselves by developing and updating our curriculum and education system at par with the requirement of the changing business environment. At the same time, Bangladesh needs to create job opportunities and prevent its talents from leaving the country. Dr. Melita Mehjabeen is associate professor at the Institute of Business Administration (IBA), University of Dhaka.